Whether you are looking to place your property on the Vacation Rental Market for the first time or are looking to transition your property from its current management company, Florence Oregon Vacation Rentals, Inc. is ready to help. We offer professional quality services with a friendly personal touch! 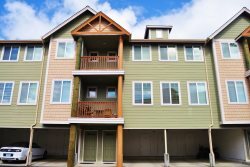 Florence Oregon Vacation Rentals, Inc. offers a full menu of management services for vacation rentals. We specialize in the finest oceanfront, ocean view, lake, and riverfront vacation homes, cottages and condominiums. Each one of our vacation rentals must meet stringent criteria for location, amenities, furnishings, maintenance and upkeep. Our goal is to offer homeowners and guests the finest experience available during each and every step of the rental process. You have our uncompromising commitment to maximize your rental profits and to preserve and protect the investment property that you place in our care. We are dedicated to providing superior service to both our homeowners and guests. We look forward to helping you with all your rental needs. If we can assist you in any way, please don’t hesitate to call our office at (541) 997-1351.